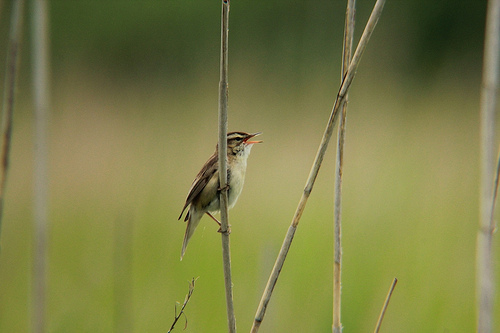 The Sedge Warbler not only breeds in the reeds. It lives even in small bushes, in contrast with the Reed Warbler which is almost exclusively confined to reeds. 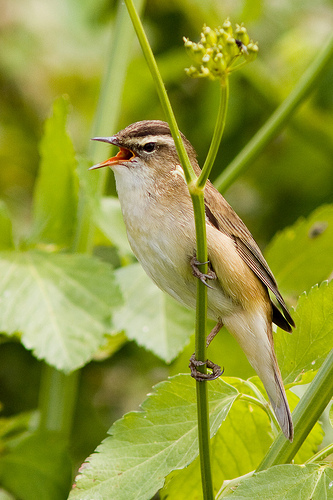 The Sedge Warbler has a bright, white eyestripe and a striped body. The Reed Warbler is plain brown.